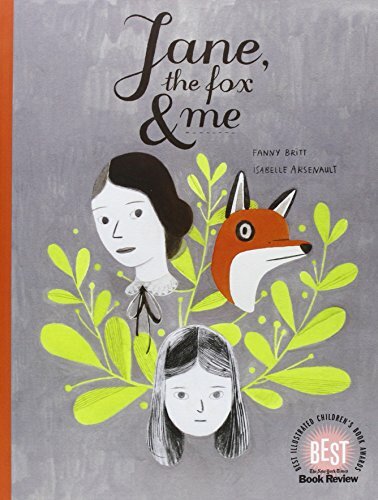 Jane, the fox & me is a beautifully illustrated graphic novel that offers a deep insight into the protagonist - Hélène. She’s an outcast and a big fan of Charlotte Bronte’s book -- Jane Eyre, which she draws strength from. There are intimate observations that Hélène made -- of little things in her life and big thing too -- her self consciousness at her physical appearance or how she is shunned in the school and the bullying. But things changed with a class trip and a brief encounter with a fox, and meeting of a new friend. The graphic novel deals with a subject matter that is too real in school -- of bullying, the need to fit in and more importantly, how to deal with loneliness. The graphic novel is written by Fanny Britt and illustrated by the award winning illustrator, Isabelle Arsenault. Isabelle Arsenault uses a monochromatic illustrative style for the book, which works great -- considering the theme it is dealing with. The pencil hatching and tonal values speaks of Isabelle Arsenault’s skill and she has went on to illustrate a few other award winning picture books. I particularly love the way her pencil tones and hatching creates interesting marks and pattern in this charming graphic novel.